P.E.O. is a philanthropic organization where women celebrate the advancement of women, educate women through scholarships, grants, awards, and loans, and motivate women to achieve their highest aspirations. Michigan City Chapter BR has a specific scholarship to offer under the auspices of P.E.O. It is the June B. Kelley Scholarship which is aimed at young women who attend a college or university in the state of Indiana. A check for $2,000 will be awarded annually to the young lady who has the best qualifications. To be eligible for recommendation, a woman must: exhibit excellence in academics, extracurricular activities, community service, and potential for future success; is in her senior year of secondary education or presently attending a college in Indiana; has a minimum cumulative unweighted GPA of 3.2 on a 4.0 scale; plans to attend an accredited postsecondary educational institution in Indiana in the fall of the academic year following high school graduation, or plans to continue at the Indiana college she is attending. To fill out the application, click here. Recovery Village, an organization with locations across the country, is dedicated to helping those struggling with substance abuse into recovery. They are offering a one-time scholarship of $1,000 to a student pursuing a health-related degree program. Areas of study that will be considered include, but are not limited to: counseling, social work, emergency medicine, pre-med, nursing, psychology (with a focus on addiction counseling or a substance-abuse related field). Applicants must submit an essay of no more than 500 words describing why they are passionate about health care, with a focus on substance abuse and mental health. Essays can draw from personal or professional experience. To be eligible, students must be a United States citizen or permanent U.S. resident; enrolled or accepted in an accredited college or university and plan to continue enrollment; consent to a talent release and be willing to provide a digital photograph and quote for display on Advanced Recovery Systems (ARS) websites if notified as the winner. Kyle L. Harrop was the Indiana Association of School Principals Department of Student Programs Director from August 2000 until September 2018, when he passed away unexpectedly. 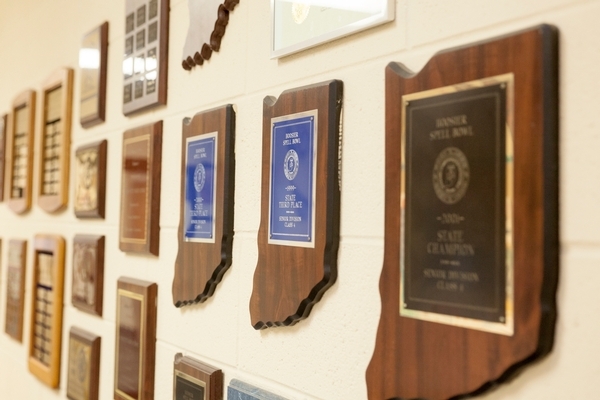 Mr. Harrop's passion for student success was unrivaled, and during his tenure as Student Programs Director, academic competitions participations grew tremendously. Mr. Harrop was truly the face, voice, and spirit of IASP academic competitions. To honor Mr. Harrop's passion for student success, and create a legacy in his honor to continue that support, the Kyle L. Harrop Scholarship has been created. To apply for the scholarship ($500 for two successive school years), students must meet all criteria and submit the necessary documents as a PDF file to Diane Abel (dabel@iasp.org) no later than April 22, 2019. 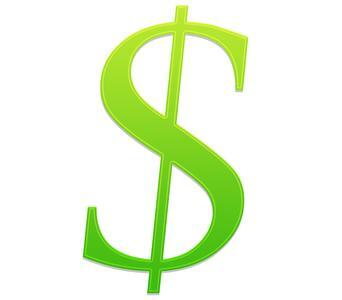 Financial need will be considered when awarding this scholarship, although it is not the main criteria. The Michigan City Commission on the Social Status of African American Males (MCCSSAAM) is proud to present its third annual Reverend Bill J. Ashley Memorial Education Scholarship. 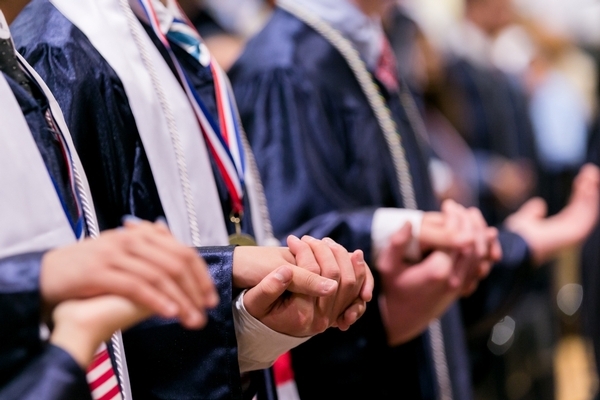 This scholarship honors a man who had a passionate love of God, his country, his community, and his family. He served them tirelessly in many capacities. As a World War II veteran, he served in the U.S. Navy as a First Class Seaman from 1943-1946. He was born in Louisiana, but made Michigan City his home in the early 1950's and lived and served here until his passing in 2014. He founded Macedonia Missionary Baptist Church in 1975 and pastored there for 29 years. His community activities included: hosting the "Get Acquainted" radio ministry on WIMS Radio; President of the Northwest Indiana Ministers Conference; Michigan City Police Department Chaplain; St. Anthony Memorial Hospital Chaplain; Board Member of the Michigan City Homeless Shelter; a member of Martin Luther King, Jr. Center Steering Committee; Member of the Michigan City Chapter of the NAACP; volunteer at Michigan City Area Schools. Perhaps his greatest achievement was raising 12 children with his wife of 44 years, Mrs. Clara Ashley. As an African American male in Michigan City, his life exemplified that of a mentor, encourager, counselor, teacher, friend, pastor, husband, and father. Through this scholarship, his legacy shall continue to live forever. 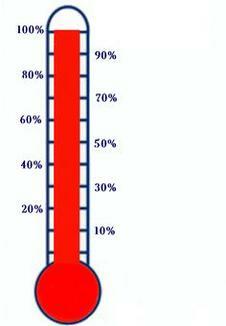 The Reverend Bill J. Ashley Memorial Education Scholarship will be making one (1) one-time award of $1,000.00 to individuals who meet the following criteria: an African-American male, a graduating senior from public/private/home/GED school within the boundaries of Michigan City Area Schools, a Michigan City resident, and a graduation grade-point average (GPA) of 2.0 or higher. Applicants must submit a completed application, a sealed copy of a high school transcript, three (3) letters of recommendation (may be from teachers, counselors, mentors, or other community members), written evidence that you have been accepted into an accredited college/post-secondary institution, and a 500-word essay that describes the career goals/objectives you are pursuing; how this scholarship will help you attain it and the impact this career will have on your status as an African-American male. NOTE: Essay must be typed and double spaced. The Indiana Sheriffs' Association Scholarship Fund was established for the purpose of receiving, investing, and dispensing of funds to provide college scholarships to qualified students who are committed to pursuing an education and career in the law enforcement field. This year, the Indiana Sheriffs' Association will be awarding forty (40) $750 scholarships to qualified students who meet the following criteria: be an active affiliate or associate member of the Indiana Sheriffs' Association or a dependent child or grandchild of an active affiliate or associate member of the association, be an Indiana resident, attend an Indiana college or university, major in a law enforcement field and enroll as a full-time student (12 hours). For more information and to fill out an application form, click here. The Healthcare Foundation of LaPorte (HFL) takes great pride in offering scholarship awards to students in our community. In addition to multiple scholarships available through the Healthcare Foundation of LaPorte, they are pleased to present additional scholarship opportunities funded by the LaPorte Hospital Auxiliary. A total of $70,000 will be awarded in 2019. For all scholarships, students must be pursuing careers in health and wellness fields, and be enrolled at an accredited university, college, or similar higher learning institution. To see the complete list of scholarships and to fill out applications, click here. This annual scholarship was created to celebrate the lives of Tom & Lillian Lernihan. In addition to being life-long learners, they were both passionate about Catholic education. Their four children and two daughter-in-laws graduated from Marquette High School. Since inception, the Tom & Lillian Lernihan Scholarship has awarded over $30,000 to selected college-bound Marquette High School graduates. Any student who wishes to apply must meet the following criteria: graduate in good standing from Marquette High School, receive acceptance into full-time study at an accredited four-year college or university, will be attending college/university in the fall of 2019, carry a 3.0 GPA or better, submit a 500-word essay, submit two letters of recommendation, and attach a recent high school transcript. The Lernihan Family will award two (2) scholarships for $1,000.00 each on Honors Day and their decisions shall be final. Payment of the scholarship will be made directly to the college or university of the winning student. The application must be completed fully and submitted with an essay of 500 words or fewer. The 2019 essay subject: If you could pick any super power, which one would you choose and what would you do with it to help the world be a better place? Jerry Karstens commanded respect on the field, the court, and with everything in his life. He was a respected teacher, coach, referee, umpire, and friend to many in Michigan City and the state of Indiana, and will always be remembered for being fair. "Mr. K" also dedicated himself to the Parks & Recreation Department for nearly 50 years. Jerry's dedication to his family, the Lord, and his passion for sports and recreation, have earned him unparalleled respect. Jerry will be missed, but never forgotten, and his spirit will live on forever at Karstens Field at Patriot Park. The $1,500 Jerry Karstens Athletic Scholarship was created in his memory. Through this scholarship, Jerry continues to assist others. Our hope is that applicants will aspire to better themselves and their athletic abilities through education and better their community through their athletic involvement. Applicants must be a graduating senior in a LaPorte County area school, be enrolled in a college, and must have participated in at least one sport during their senior year. In addition to completing the application form, students must also submit a clear photocopy of their high school transcript, including SAT/ACT scores. Two written references and a short typed essay are also required. To fill out the personal profile sheet, click here. First Trust Credit Union will once again be awarding eight (8) $1,000 scholarships this year to graduating seniors based on the geographic location of their high school. Scholarship applications are now available for 2019 graduating seniors pursuing four-year degrees as well as graduating seniors pursuing an apprenticeship, associate degree, or certification in a selected field. Applications must be submitted to the Scholarship Committee via email to scholarships@firsttrustcu.com. The National Association of Buffalo Soldiers and Troopers Motorcycle Club is comprised of five regional areas called Frontiers (Northeast, Southeast, Great Lakes, Central, and Western), each representing different sections of the United States. A sum of $2,000.00 has been set aside for each Frontier to use in the awarding of scholarships to qualified graduating high school seniors. In addition, $5,000.00 has been set aside for one national scholarship. Each scholarship will be paid by NABSTMC to the student and mailed to the school of their choice, upon verification that he or she has been accepted and enrolled in an institution of higher learning. Graduating high school seniors with a GPA of 2.0 or better (on a 4.0 scale), who have applied or been accepted to a college/university will be eligible to apply. The scholarship will be awarded on financial need, proposed use, and overall qualifications, with emphasis on the quality of the final essay. 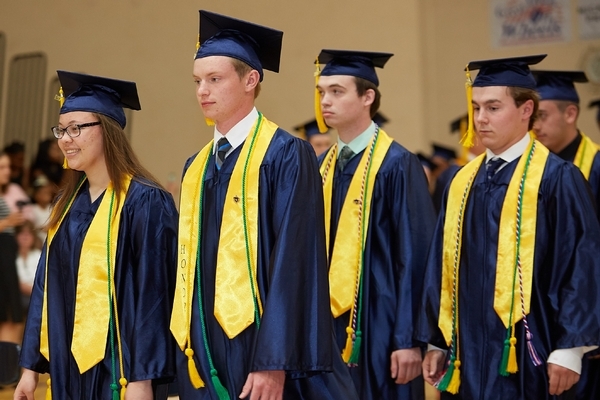 The Rotary Club of Michigan City is offering two (2) scholarships worth $2,000 each to graduating high school seniors who exemplify Rotary's motto "Service Above Self." The scholarship will be paid directly to the winner's post-secondary education school. Marquette's Class of 2018 was offered over $9.2 million in aggregate scholarship dollars. For eight consecutive years, every member of Marquette's graduating class has been accepted to at least one college or university.